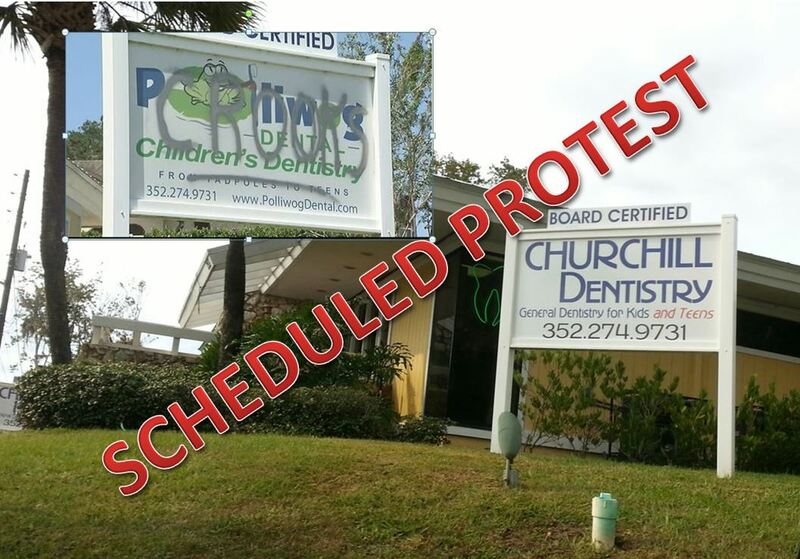 Ocala, Florida — There will be a protest against Churchill Dentistry, LLC., formerly Polliwog Dental, LLC, at 255 Se 17th Street, Ocala, on Saturday, November 15, 2014, from 11 a.m. to 3 p.m. The protest is being organized by E.j. Raines, and many other concerned parents in Marion County. The protest is in regards to the multiple patient abuse complaints filed with the Ocala Police Department against the dentistry. For more information and to sign up, visit the Churchill Dentistry, LLC protest. WESH 2 news might also be present during the protest. If you are unfamiliar with the allegations against the dentistry, you can read it here.